​Prospect for your very own Herkimer Diamonds! ​At our above ground surface mines, you can search for the treasures that may be hiding right in front of you! Collection methods vary, but most folks like to bang on some rocks in search of the beautiful crystals that were formed over 5 million years ago! You can keep everything you find​. 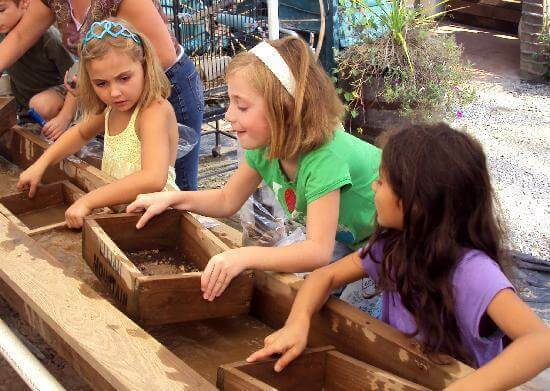 ​​In addition to prospecting in the mines, we also offer sluice mining, which is popular with miners of all ages. ​Purchase ​a special bag and head to the Sluice to start screening. ​Each bag is filled with treasures waiting to be discovered.